I'd heard rumblings of a labor shortage in the vineyards, but I had no idea how dire it was until they started calling in the wine writers for help. 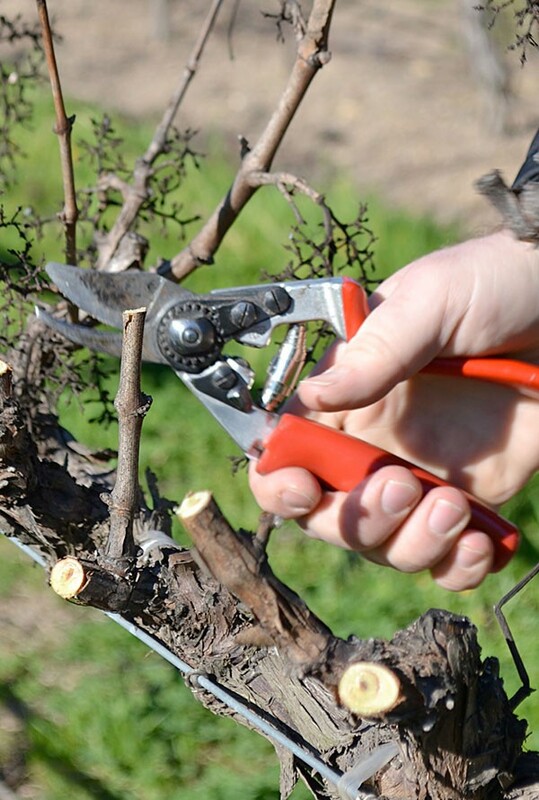 Last week, Sonoma County Winegrowers cancelled their annual Pruning Championship, an event that's intended to recognize some of the North Bay's most valued vineyard workers, due to difficulties in getting vineyard managers to give up their best workers for the day. So I answered a request from Silverado Vineyards in Napa Valley to meet them in the vineyard on a recent Tuesday morning to see what I could do to help out. I hope the three Cabernet Sauvignon vines that I and another media guest trimmed down to "spurs" gives some hard-pressed worker a few minutes of R&R. But most of the hour was spent learning from Silverado Vineyards director of vineyard management Towle Merritt about why the winery was "cane pruning" its estate vineyards. The practice adds up to 20 percent more in cost to have the crew carefully select and tie up a few of last year's crop of "canes," instead of mowing those all down to short spurs with their pruning shears—which requires a canny eye and a practiced wrist in itself. But Merritt says the better yield and potentially longer life of the vineyard, which is expensive to replant and can suffer more disease after spur pruning, make up for it. It takes seven years to work up to a skilled pruning position at Silverado, according to Merritt, and the winery's starting wage for pruning is about $16.50 per hour. On the other hand, half as many workers are needed for pruning as are need for vineyard operations later in the season. Founded in 1981 by Ron Miller and the late Diane Disney Miller, daughter of Walt Disney, Silverado Vineyards did indeed get a boost from the Mouse, but this winery, with its old-school style and long-tenured winemakers, does nothing to contribute to the "wine Disneyland" vibe about the valley. It's a comfortably appointed joint with a great view and a fireplace, and for starters, the refined 2016 Miller Ranch Napa Valley Sauvignon Blanc ($25) is a stony whisper of grapefruit pulp at a Napa-nice price. Fans of Jordan's Alexander Valley Cab will surely relate favorably to the savory black olive and char-steeped Silverado Vineyards 2014 Estate Napa Valley Cabernet Sauvignon ($50), while the 2014 Solo Stags Leap District Cabernet Sauvignon ($125) allows mere hints of maple syrup and blackberry fruit to surface, teasingly, from the gravelly depths. Silverado Vineyards, 6121 Silverado Trail, Napa. Open daily, 10am–5pm. Tasting fee $35; $40 premier reds. 707.257.1770.